Hope your week is going alright. Myss Lafunky would like to express her gratitude to those that have shared the blogspot with their friends or used some of the articles for counselling. If you have any confidential questions, feel free to send your questions to trulymakingadifference@gmail.com. The way I relate with people has been influenced by the application of the Bible, guidance of the Holy Spirit, counsel from Godly friends, the book of Proverbs and principles from John Maxwell's book. "If you’ve spent any time on this earth, you know that life contains conflict. And there are times in the life of every leader when he or she needs to fight. But if you fight all the time, you can wear yourself out. That’s why it’s important to pick your battles. it’s usually the team that gets along best." No 3 is my favourite. What's your favourite? Number 2 & 5.Good article. For me, its 1 & 2. 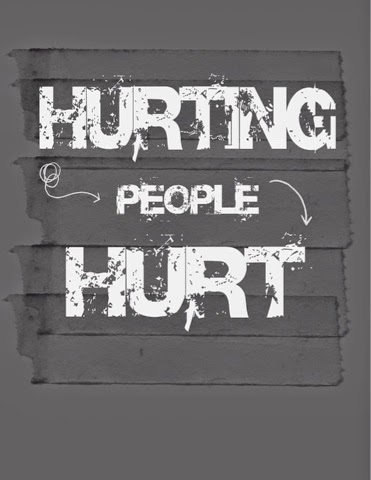 I would also like to add that in my opinion hurt people should be the most forgiving of others because they have felt varying degrees of pain which they shouldn't wish on anyone (this would work in an ideal world of black & white but in our world, there are a lot of grey areas). Personally I have come to understand people better after going through challenges. I am more compassionate & less judgemental because I can relate to others brokeness through my previously shattered & now reconstructed lenses. That's true actually. One would think because one had been hurt in the past, the individual would not wish the same on anyone else. From my experience, if the individual did not receive the right support to understand what he/she had experienced in order to be better, the cycle of what led to being hurt may continue and the individual is also likely to be very guarded in their relationship with others, which may lead to hurting others.